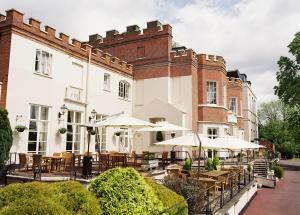 Choose from 127 hotels and guest houses in Berkshire. Shown below a just a selection of the hotels available. To search within an area please use the menu on the right. Recently extensively refurbished, this charming and historic coaching inn has an idyllic and yet convenient location, just 3 miles (5 km) from junction 14 of the M4. Situated in the beautiful Kennet Valley, the Three Swans Hotel is ideally located for exploring the area's natural unspoilt rural charm. The region is steeped in history and myth, with bustling market towns, beautiful country homes and ancient landmark symbols such as the White Horse, Silbury Hill and Avebury Stone Circle. Hungerford itself boasts a wonderful range of antique shops, courtyards and arcades.The town's excellent road and rail links make it an excellent base for exploring the area. The hotel's beautiful original structure dates back 700 years. Today, the hotel has been sensitively renovated and now offers 25 stylish and attractive en suite rooms, each with modern comforts and facilities, such as flat-screen TVs and broadband internet access. Close to the heart of Newbury's town centre, this stunning 3-bedroom end-of-terrace house offers stylish and contemporary executive accommodation, free parking and free wired broadband internet. Jago House is within easy walking distance of the heart of the town centre and Newbury Railway Station. Newbury Retail Park and Newbury Racecourse are also within easy reach. The house has 2 double bedrooms, one of which has an en suite bathroom. The third bedroom is used as an office/study. 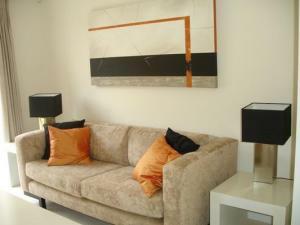 There is a lounge/dining room with a fireplace, as well as a fully equipped kitchen with branded appliances. There are landscaped garden to the front and back and the house has 2 allocated parking spaces. With all the freedom, independence and convenience of an apartment, this self-catering accommodation offers a great-value alternative to a traditional hotel. Offering elegance, peace and tranquility, this lovely Georgian hotel is set in 10-acres of landscaped gardens; the ideal destination for a relaxing break, within easy reach of Royal Windsor, Eton and Henley. The gardens provide an ideal setting for those looking for a quiet place to stroll, or if you are feeling more energetic there's also a well-equipped pool and leisure club. After a day of discovering the countryside or simply relaxing, the restaurant is the perfect place to enjoy fine cuisine. Built in 1727, this 4-star hotel is located only minutes away from the M4/M40 and Burnham railway station, which has a direct line to central London, meaning that it is a popular destination for both business and leisure visitors. An unmistakably warm and friendly hotel, Walton Cottage is ideally positioned and offers a blend of homely comfort and unobtrusive, modern facilities. Walton Cottage is a favoured retreat for business and leisure visitors. Only a short walk from the town centre, shops and railway station, the hotel has 70 beautifully presented rooms and suites, all with luxurious bathrooms and a host of in-room facilities. Poets Parlour is a cosy lounge featuring an open fire in winter, making it an ideal rendezvous for an aperitif or after-dinner coffee and liqueurs. The Walton Cottage Suites are ideal for a longer stay. With a bedroom, living room, bathroom and kitchenette equipped with fridge and microwave, each suite is a truly luxurious home from home at a surprisingly reasonable cost. In leafy Caversham, next to the River Thames and 1 mile (1.6 km) from Reading's town centre, the hotel offers free parking and rooms with satellite TV and luxury power showers. The Premier Inn Reading (Caversham Bridge) is 15 minutes' walk from the shops of the Oracle centre and the restaurants and bars of Broad Street and Friars. Reading Railway Station is half a mile (800 m) away. Some rooms can take 2 adults and up to 2 children (under 16 years). The 2 children also get a free full breakfast when accompanied by an adult eating a full breakfast. The full all-you-can-eat breakfast includes cooked items, vegetarian options and a wide continental selection. The on-site Toby Carvery restaurant offers tender cuts of freshly roasted meat and fresh, seasonal vegetables. The comfortable and convenient Bath Hotel is near Reading town centre and just 5 minutes from the M4. The Oracle shopping mall in the city centre is a 15-minute walk away, and Heathrow Airport is a 35-minute drive away. A regular bus service passes the hotel. 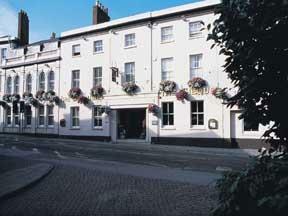 Bath Hotel offers en suite rooms, ample free parking and free internet access in public areas. There is no lift at this hotel. The hotel was built in 1892, and parts have been renovated recently. It is well-placed for sporting venues, including football, rugby and horse racing. Crowne Plaza Reading is on the banks of the River Thames, in the centre of Reading. It is close to road and rail links, and has a restaurant with 2 AA Rosettes. The hotel is a quiet venue in an easily accessible location. Central London is a 25-minute train journey, and Heathrow is a 25-minute drive away on the M4. 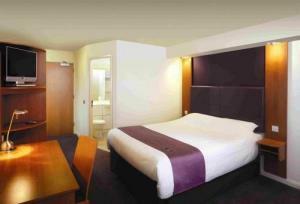 Crowne Plaza Reading has air-conditioned bedrooms, 6 function rooms and free, secure parking. Revive Health Club and Spa has a 17-metre indoor heated pool, a sauna, steam room, modern gym and 5 treatment rooms. Enjoy a warm welcome upon your arrival at The Brockenhurst Hotel. Nestled into the classic English town of Ascot, Brockenhurst is exceptionally comfortable and near to local amenities. 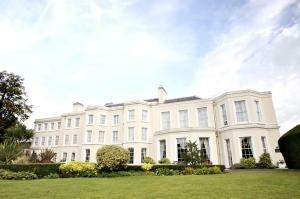 The hotel complements the world class facilities and events within the local area. Ascot enjoys the company of visitors from throughout the world. Brockenhurst is situated in fine, well maintained grounds, which really come into their own in the summer months. The gardens add to the attraction of the hotel as functions can spill out of the hotel into the private grounds and gardens. 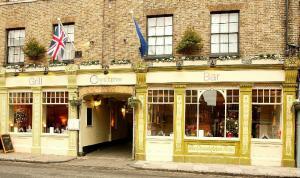 This elegant and relaxing hotel is close to Windsor and convenient for Heathrow Airport. 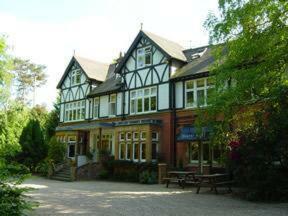 It has a restaurant with 2 AA Rosettes and 6 acres of beautiful grounds. Taplow House dates back to 1598 and is minutes from Slough, Maidenhead, Windsor and Eton. The peaceful hidden venue has personal, friendly service. The bedrooms are warm and welcoming. Each has air conditioning and satellite TV, and is individually designed and beautifully restored. Berry's Restaurant overlooks the grounds and serves modern British cuisine with Buckinghamshire produce. Dine al fresco on the terrace in summer. Having battled the Irish Sea to come to rest upon the Thames, just outside Reading, this spectacular boat hotel is set in an area of outstanding natural beauty and historical interest. Moored on a large country estate called Mapledurham House and Water Mill in Oxfordshire, the hotel is only 2.5 miles away from the centre of Reading and within easy reach of the spectacular Chilton Hills. After a long day you can relax on the boat's sundeck, whilst gently rocking on the water, before retiring to one of the cabins, all of which are centrally heated and en suite. Fashioned in the style of a French chateau, complete with turrets, this 4-star hotel is just 1.5 miles (2.4 km) from Ascot Racecourse and has a luxurious spa and an 18-metre indoor pool. The Macdonald Berystede Hotel & Spa combines the original character and traditional charm of a historic manor house with modern, air-conditioned accommodation and contemporary leisure and business facilities. All of the beautifully appointed rooms feature air conditioning, minibars, free broadband internet access and flat-screen TVs with satellite channels. The Hyperion Restaurant has won an AA Rosette award for its superb European cuisine. With pictures of famous racehorses and plush leather armchairs, the Diadem Bar has the relaxed and elegant atmosphere of a gentleman's club. The Vital health and beauty spa has an 18-metre indoor swimming pool with feature windows looking out over the hotels landscaped gardens. There is also an outside hydrotherapy pool, thermal suites, a 150 m? Technogym and 6 beauty treatment suites. Owned by Henry VIII and visited by Queen Elizabeth I, this historic 13th century hotel successfully blends its existing architectural features with a twist of modern design. If you are expecting a contemporary and stylish hotel in an ancient setting, you will not be disappointed. Stunning bedrooms feature comfortable beds, Egyptian cotton sheets and refreshingly great showers. You will also find all of the latest mod-cons, including flat-screen LCD TVs, broadband and Wi-Fi. Relax in the contemporary new bar serving light meals and drinks all day, or visit the luxurious new dining room where the chef has designed a simple yet elegant menu which complements the relaxed surroundings of the hotel. This beautiful Victorian house in central Windsor is a 5-minute walk from the town centre and Windsor Castle. Legoland is a 5-minute drive away. Free Wi-Fi is available in public areas, and there is a guest lounge and a guest kitchen with a fridge, microwave and toaster, as well as tea, coffee and biscuits. Off-street parking is available. Windsor has 2 train stations and is a short drive from the M4 and M25. Heathrow Airport is not far away. In the heart of Newbury's town centre, only 5 minutes from junction 13 of the M4 motorway, this traditional 18th century coaching inn offers en suite accommodation and free parking. Now independently owned, the Chequers Hotel has recently undergone an extensive refurbishment of the outside of the building, including brand-new windows throughout. The only hotel that is so near to the centre of Newbury, the Chequers is close to all that the town has to offer, including the many shops, bars and restaurants. Newbury Railway Station is about 0.5 miles (0.8 km) away. The 56 well-appointed en suite rooms are fully equipped with tea/coffee making facilities, hairdryers, trouser presses, TVs, telephones and modem points. Warm and welcoming, the restaurant serves modern European cuisine and the bar also offers a wide selection of hot and cold dishes daily. Room service is available 24 hours a day. Subject to availability, guests have the use of the LA Fitness gym, just a few minutes away.